If you want to get over more than 10 France optimized backlinks to your site and raise your rankings, this gig will give you results! 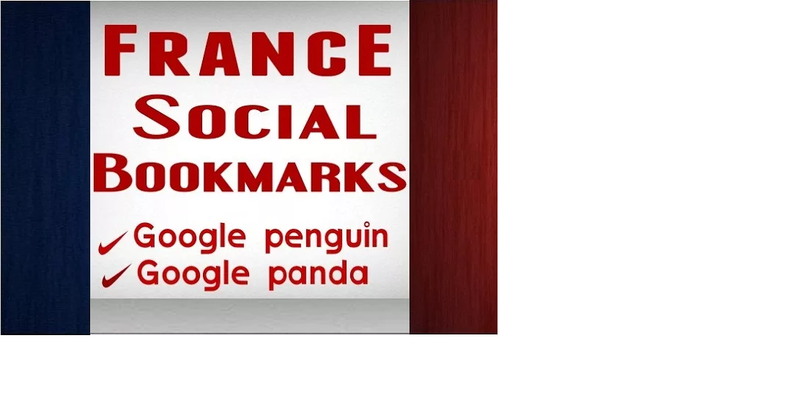 - Your URL will be successfully submitted to 10 different France social bookmarking sites - you receive an active backlink from each site. I can spin the title and description if you want me to. You can also decide the keywords that will be used for the bookmarks. - All links GUARANTEED to be Penguin SAFE.